Not Just For Vegans – Include these vegan face mask products in your natural skin care regimen. They Are totally Worth it! At-home beauty treatments are a great way to pamper yourself and provide the kind of self-care that’s essential for overall health and wellness. What better way to do that than by using a mask treatment? Masks can provide varying levels of cleansing and detoxifying, from light to intense. While there are hundreds of products to choose from, here’s a selection of natural vegan face masks that are effective yet gentle, leaving you with a beautiful complexion. The list includes vegan beauty face masks that are sold ready-to-use, as well as those sold as powders or other formulas that allow you to make the final preparation yourself. And that’s so easy to do! Simply mixing a little powder with water or other liquid or source of moisture is all it takes. This ability to customize the blend and consistency of the mask using a final ingredient like water or tea ensures that each woman gets the kind of skin care treatment that’s perfectly matched to her needs, whether her primary concerns include pH, acne, or fine lines. This extra level of customization also minimizes waste; you can prepare only as much face mask as you need. And knowing that all of these products are vegan means you can feel good about the skin care that makes you look good. Vegan friendly skin care products do not have any animal or animal by-products as ingredients; they’re also not tested on animals. Many of them also include ingredients that are organic or in some cases, wild-harvested. These formulas and preparations are clean and free of fillers, phlalates, or harsh chemicals that can inflame or irritate skin, or unknowingly subject your body to animal products. So read on to learn about some of the most popular and effective vegan face mask brands available! A single jar of Om-Cali’s Earthbody might be the hardest working product in your beauty box. This double-duty skin care product can be used as a daily cleanser. But it also makes a great weekly mask! Impurities get pulled from the skin by all-natural clay, while special blends of berries, herbs, and vegetables help improve skin tone and pH. Three formulas mean that every woman can use it, no matter what her skin type. Women with skin that ranges from normal to dry, and women with mature skin, can use Brighten; anyone with normal to oily skin can use Purify; and women whose skin is sensitive can use Replenish. Soothe oily and acne-prone skin with S.W. 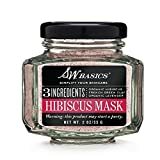 Basics Hibiscus Mask. With only three ingredients, this is skin care made simple. Related: Acid Peels for Acne: Do They Really Work in Controlling Acne? The powder can be mixed with water, or other ingredients like yogurt or honey to activate the rejuvenating and purifying powers of organic hibiscus and French green clay. Organic lavender calms skin, leaving it smelling lightly of springtime flowers. Because you prepare the powdered formula yourself, it’s possible to customize it to your skin type; although, since there are no moisturizing agents in this product, women with dry skin may find this mask too drying if they use it too often. This unique scrub made of clay and natural grains helps exfoliate skin, alleviate inflammation, and minimize the look of blemishes and dark spots. Dandelion root attracts toxins from your skin, and helps balance skin tone. Moroccan lava clay removes impurities. A proprietary powder blend of hibiscus, frankincense, myrrh, licorice and marshmallow roots, oat and rice flour, fennel, and turmeric help reduce redness and calm skin. This product can be used on all skin types, with modification depending on your particular skin care needs; for example, mix it with water for a more astringent mask, or herbal tea for a more gentle application. This hard-working mask helps minimize the look of large pores and correct wan skin tone, improving circulation so that skin looks refreshed and renewed. DR. ALKAITIS Organic Flower Mask, 1.25 fl. oz. The texture of Dr. Alkaitis’ Floral Blend helps the product work as an exfoliant, while the ingredients of the blend themselves have skin-friendly properties; for example, blue mallow blossoms for hydration, and marigold blossoms to calm inflammation. Because of its highly effective strength, this organic flower mask is not intended for women with acne-prone or sensitive skin. Women with normal, oily, and mature skin see the best results using it once per week. This powerful mask minimizes pores while removing impurities. It also improves circulation and cell renewal to reduce the appearance of blemishes, dullness, and signs of aging. The Pele Mask includes volcanic ash clay (Of course! Pele is the volcano goddess!) to detoxify, plus activated bamboo charcoal to lift bacteria from the skin, and guava to minimize fine lines. Because it’s made with such highly active ingredients, this formula is intended as a seasonal product for use during warm summer months. Although the product is formulated for all skin types, women with sensitive skin, and women with some skin conditions like rosacea, might find this product too strong. There’s no need to suffer with dull skin when this specially formulated mask can deliver a glowing complexion. It’s a gentle exfoliant that naturally removes dead skin cells. Its simple list of ingredients – just baobob fruit, coconut water, and qasil (a spice) – are gentle to skin, providing nourishment and hydration for every skin type. 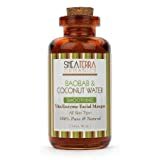 The Baobob & Coconut Water Face Masque comes in powder form; adding water before use is all you need to do. Most women can use this preparation up to twice per week without irritation. And it’s preservative free! This mask gently treats imperfections and impurities with the acids naturally found in white willow bark, fruit enzymes and aloe leaves, revealing the beautiful glow hiding behind clogged pores and dead skin cells. Regular use can leave your face looking and feeling smooth and youthful. It includes a special ingredient, Azulene, found in blue tansy oil, which minimizes redness and irritation. This product can be used by women with all skin types, with some moderation when used for more sensitive skin types (for example, a woman with sensitive skin would use the mask for a 5 minute treatment vs 15-20 minute treatment). There’s no need to choose between anti-aging and detox with this Australian product. Purify skin while exfoliating and fighting free radicals for improved texture and circulation. This luxury and eco-friendly formula is vegan, cruelty-free, and has no gluten, wheat, or palm oil. Skin friendly vitamins and nutrients are paired with white clay to gently scrub away dead skin cells without harsh treatment that strips skin of important natural oils, while CoEnzyme Q10, pomegranate, tamanu, sea buckthorn, chia and carrot seed oils nourish skin with essential fatty acids, helping hold onto key moisture, making skin look younger and fresher. Fine lines and wrinkles come from age, of course, but they can also be a big clue that skin needs more hydration! Several common complaints, like wrinkling and sagging, are the result of skin cells that have lost water. This is a common complaint, and one that’s relatively easy to treat. The Aqua Boost Hydrating mask is specially formulated to relieve thirsty skin and then lock in moisture. Key hydrating ingredients include certified organic Aloe Barbadensis Leaf Juice, plus Rosa Centifolia Flower Water, and Cucumis Sativus Fruit (Cucumber) Juice. Vitamins, like E and C, work with ingredients like hyaluronic acid boost moisture and help fight aging, leaving skin looking rejuvenated and refreshed. Women with skin in need of dramatic hydration should consider adding this powerhouse to their beauty routine. Women seeking greater clarity and more radiance from their complexion may find that The Problem Solver is just that. Minimize redness, inflammation, and blemishes. Boost circulation, exfoliate, and detoxify pores. A blend of clay and spices like nutmeg, cinnamon, clove, turmeric, and pepper, works with raw cacao and bamboo charcoal to lift impurities and increase blood flow. The result is reduced breakouts and naturally glowing skin. This special formula can be safely used by women with skin conditions like rosacea or other inflammation up to two times per week. Face masks are a foundational part of any woman’s beauty routine. They are a great way to address specific skin care concerns, whether it’s dry skin, acne, fine lines and wrinkles, clogged pores, or dull skin. Vegan face masks aren’t made with any animal products, and aren’t tested on animals. 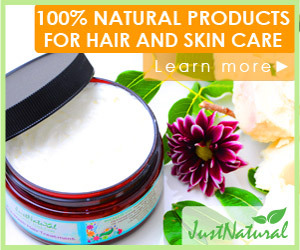 Ingredients typically include herbal, plant, fruit, and vegetable extracts, plus natural exfoliants like clay. Most of them are tailored to meet a specific skin care need. You can feel good using them, and your skin will look good, too. They are easy to use, even when the final step in preparation is left to the user – it’s just mixing some powder with water, tea, or other liquid. Many women use their fingers or a brush. Apply the mask, and leave it on according to product directions. Rinse and pat your skin dry, and then enjoy the results! Radiant skin that’s clear and vibrant-looking, where inflammation and blemishes are reduced. Using a mask regularly can improve skin tone, texture, and clarity. It also provides women with a chance to relax and treat themselves to self-care, which is essential for good mental and physical health. Consider making a vegan face mask part of your regular skin care routine. A weekend treat or weeknight stress-reliever, there’s a skin care mask for everyone.